It feels good, imaging the Moon again, after almost a month of busy days and cloudy nights. 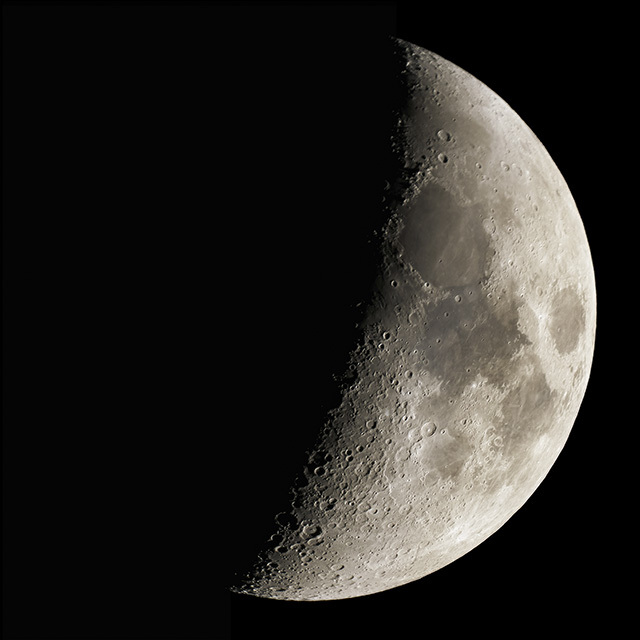 Just a day shy of first quarter, the Moon rom Austin, Texas during a break in the clouds at 2017-01-05 00:45 UT. Questar 3.5" telescope (1350mm f15) with Sony a6300 at prime focus. Exposed 1/25 sec at ISO 200. Best 10 images stacked and deconvolved in Lynkeos with final crop and exposure in Photoshop.